Ambassador Mendiola said there are plenty of investment opportunities in Peru in the field of energy, agriculture, mining, tourism and infrastructure. 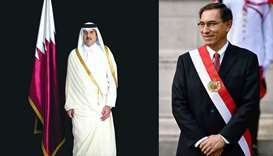 The Ambassador of the Republic of Peru to the State of Qatar Carlos Velasco Mendiola said that His Highness the Amir Sheikh Tamim bin Hamad Al-Thani's visit to his country will serve to enhance relationship between both countries and set the path for the projection and future development of bilateral relations and cooperation in all fields. The two sides will sign several agreements pertaining to the political-diplomatic cooperation, sports and youth, fighting drug trafficking, disaster management, civil aviation, agriculture and an executive program for our existing cultural agreement, said the Ambassador. Speaking exclusively to Qatar News Agency, Mendiola said His Highness the Amir Sheikh Tamim bin Hamad Al-Thani and the President of the Republic of Peru Martin Vizcarra Cornejo will hold talks focusing on enhancing both governments' efforts to improve the legal framework to facilitate and promote the Qatari investments in Peru, especially as Peru is much interested in expanding the cooperation in the field of oil and gas and benefiting from the extensive experience of Qatar in the field. They will also discuss regional and global affairs, Mendiola added. 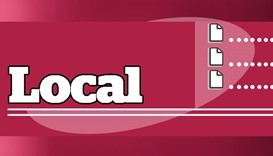 Mendiola said that the trade exchange and volume have been modest and do not reflect the potential of the two countries, adding Peru is a net importer of petrochemical derivates, such as polythene, from Qatar. 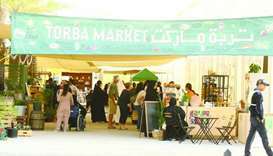 On the other side, some products (like quinoa) and Peruvian fresh fruits and vegetables are already present in the local markets in Doha, as well as some alpaca and vicuna wool textiles. "I expect, once the Commercial Agreement enter into force, this will improve. It is important to encourage our private sectors to look to our markets and see the new opportunities." The Ambassador added there are plenty of investment opportunities in Peru in the field of energy, agriculture, mining, tourism and infrastructure. 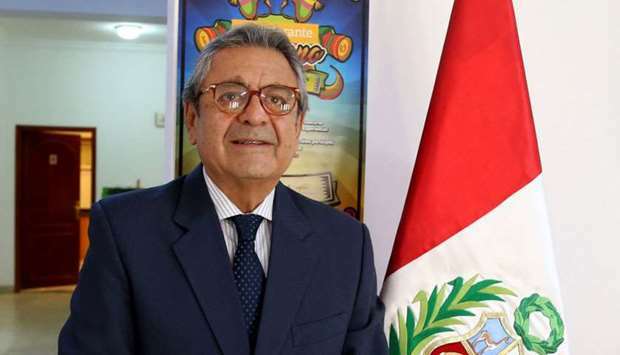 Government is working to improve the legal framework to facilitate and promote the Qatari investments in Peru, he said. 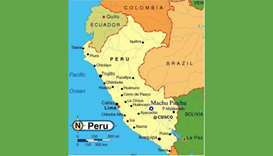 "At present, we have a Memorandum of Understanding signed between Qatar Holding Llc., and the Peruvian agency Proinversion. Also, we have a MOU between Qatar Mining and the Ministry of Energy and Mines of Peru. Since Peru possesses large gas fields, which are the 3rd most abundant reserves in South America, we are much interested in expanding the cooperation in this area and benefiting from the extensive experience of Qatar." 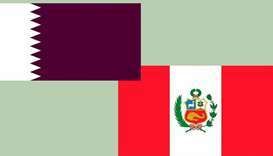 The State of Qatar and the Republic of Peru will commemorate the 25th anniversary of diplomatic relations next year, His Excellency said, adding that bilateral relations between the two countries have been developing positively and gradually. 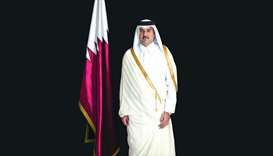 "Today, we have a solid legal framework of the relations, created during the successful official visit to Peru of His Highness the Father Amir Sheikh Hamad bin Khalifa Al-Thani in February 2013, reciprocated by the President of Peru in February 2014," he said. 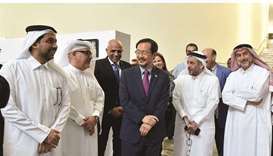 Mendiola added that his country is committed to continue and enhance the relations with the State of Qatar, pointing out that the cooperation in economic, trade, financial, educational and scientific and technological fields will be promoted. 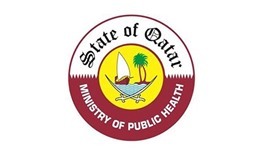 "The Government of Peru observes with attention the leadership of the Government of Qatar in the field of international diplomacy and conflict resolution, as well as mediation in different parts of the world and at the regional level. 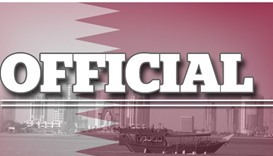 There is ample coincidence between foreign policies of Peru and Qatar on issues of the global agenda under the framework of the United Nations Charter, the respect of international law and the peaceful solution of conflicts, as well as in the fight against international terrorism, promotion and defense of human rights and protection of environment."